Flourishing development and a bustling IT industry transformed Bangalore into a vibrant metropolis, but the city preserves its numerous historic and cultural sights. Bengaluru is known for historic sites, parks, shopping, theme parks, and wildlife. Your plan includes some of its best attractions: take in nature's colorful creations at Lalbagh Botanical Garden, wander the streets of Malleswaram, admire all the interesting features of M Chinnaswamy Stadium, and walk around Cubbon Park. For other places to visit, where to stay, maps, and other tourist information, you can read our Bengaluru trip itinerary maker . The Route module shows you travel options from your home to Bengaluru. In April, daily temperatures in Bengaluru can reach 41°C, while at night they dip to 26°C. Wrap up your sightseeing on the 23rd (Tue) to allow time to drive to Hampi. The temple town of Hampi sits on the site where one of the richest and biggest cities on the planet once stood, with the ruins of the old city protected as a World Heritage Site. Go for a jaunt from Hampi to Hospet to see Tungabhadra Dam about 48 minutes away. And it doesn't end there: contemplate the long history of Vitthala Temple, explore the ancient world of Group of Monuments at Hampi, contemplate in the serene atmosphere at Royal Enclosure, and appreciate the history behind Statue of Ugra Narsimha. For ratings, other places to visit, and more tourist information, go to the Hampi road trip planning app . Drive from Bengaluru to Hampi in 5 hours. Alternatively, you can do a combination of flight, taxi, and train; or take a train. Expect somewhat warmer evenings in Hampi when traveling from Bengaluru in April, with lows around 30°C. Wrap up your sightseeing on the 27th (Sat) to allow time to travel to Mumbai. Mumbai is known for historic sites, scenic drive, shopping, nature, and theme parks. Your plan includes some of its best attractions: appreciate the history behind Gateway of India, take in the views from Bandra-Worli Sea Link, don't miss a visit to Dhobi Ghat, and enjoy the sand and surf at Chowpatty Beach. 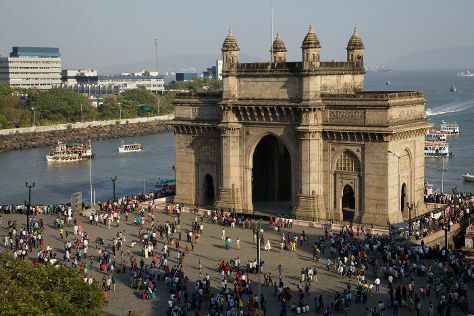 For traveler tips, where to stay, reviews, and other tourist information, you can read our Mumbai trip itinerary maker website . You can fly from Hampi to Mumbai in 6 hours. Other options are to drive; or take a bus. April in Mumbai sees daily highs of 39°C and lows of 28°C at night. 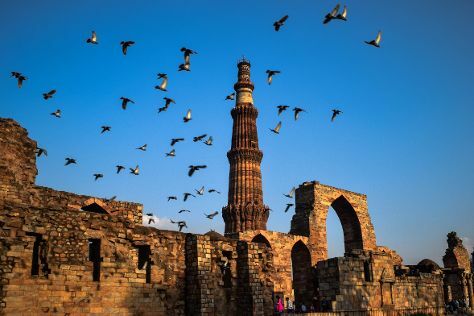 Cap off your sightseeing on the 3rd (Fri) early enough to travel to New Delhi. Take a break from New Delhi with a short trip to Cyber Hub in Gurugram (Gurgaon), about 36 minutes away. There's much more to do: take in nature's colorful creations at Humayun's Tomb, savor the flavors at Food & Drink, get to know the fascinating history of Lodhi Garden, and contemplate the long history of India Gate. To see more things to do, reviews, maps, and tourist information, refer to the New Delhi trip planner . You can fly from Mumbai to New Delhi in 4.5 hours. Alternatively, you can take a train; or drive. When traveling from Mumbai in May, plan for a bit warmer days in New Delhi, with highs around 47°C, while nights are about the same with lows around 30°C. Finish up your sightseeing early on the 9th (Thu) so you can travel to Jaipur. On the 13th (Mon), spend a fun day on foot with Walking tours. Spend the 16th (Thu) spotting exotic species with a safari tour. Next up on the itinerary: step into the grandiose world of Amber Palace, see the sky in a new way at Jantar Mantar - Jaipur, admire the landmark architecture of Hawa Mahal - Palace of Wind, and look for all kinds of wild species at Elefriend. To see where to stay, reviews, photos, and other tourist information, refer to the Jaipur attractions website . You can fly from New Delhi to Jaipur in 2.5 hours. Other options are to drive; or take a bus. In May, plan for daily highs up to 48°C, and evening lows to 32°C. Wrap up your sightseeing by early afternoon on the 18th (Sat) to allow enough time to travel back home.